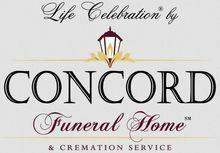 Frances Anne (Egan) Mitchell, (94) of Concord passed away March 28, 2019. She was the beloved wife of the late Daniel Mitchell who died in 2006. Frances was born in Boston on May 9, 1924 the daughter of the late William and Florence (Riddler) Egan. She was raised and educated in Boston. 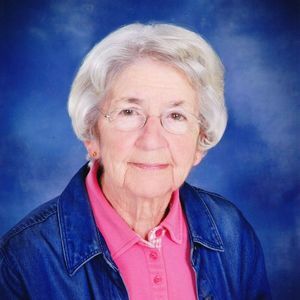 Fran continued with secretarial courses at The Katharine Gibbs School and following graduation with her Associates Degree, she worked at several secretarial positions including the Massachusetts State House in Boston. When Frances met her future husband Daniel, they married and settled in Concord where they raised their 5 children. Fran was a dedicated Den Mother for Cub and Boy Scouts as well as for Brownies and Girl Scouts. She worked for Concord's Fernald School for Special Children and for Emerson Hospital. Later, she became a licensed Real Estate Broker in the Concord area. Frances and her family were communicants at St. Bernard's Church, now known as Holy Family Parish in Concord. She was a Eucharistic Minister for those who could not attend Mass. And she was a long-time member of the Sodality of Our Lady. When she wasn't working or providing for her children, Frances enjoyed her many volunteer positions one of which was at Emerson Hospital. She was also a member of the Concord Women's Club, the Book Club and was an avid and serious Bridge Player. Most of all she loved her family and spending time with each of her children, grandchildren and with her first great granddaughter. Frances is survived by her daughters Joan F. and her husband, the former Ambassador Kenneth F. Hackett of Florida, Rita M. and her husband Frank Wahlen Jr. of Groton, MA, and Regina M. Mitchell of Concord, N.H.; her son Bernard J. Mitchell and his wife Pamela of Hopkinton; her brother James Egan and her sisters Mary Carroll and Claire Steeves. She was the loving grandmother of Diane, Katrina, Kevin, Jennifer, Michael, Colleen, Peter and Owen and great-grandmother of Abigail. She was a loving aunt to her many nieces and nephews. In addition to her husband Daniel, Frances is predeceased by her son Daniel Mitchell and brother William and sisters Rita and Florence. Family and friends will gather to remember and honor Fran on Sat. 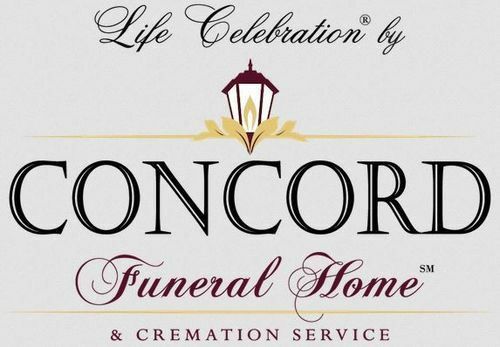 April 6, 2019 from 9:00 to 10:30 in the Concord Funeral Home, 74 Belknap St., Concord. Fran's mass of Christian Burial will be offered at 11:00am in Holy Family Parish, 12 Monument Square, Concord. Interment will follow in the family lot in St. Bernard's Cemetery, Concord.